Google recently released stats detailing that Android 6.0 Marshmallow has now clocked 4.6% of the total market share. There is a reason to believe this given the recent rate at which the software update is being pushed to some of the latest smartphones. T-Mobile, to be more specific, seems to be in the mood. The wireless carrier is currently rolling out Android 6.0 Marshmallow update to quite a number of devices that were released last year. If you are a proud owner of Samsung Galaxy S6 and S6 Edge, there is some good news for you as T-Mobile is finally following in the footsteps of carriers such as Verizon in rolling out Android 6.0.1 Marshmallow update to these devices. This update has taken quite some time before finally hitting T-Mobile’s Galaxy S6 and S6 Edge units. If you have been waiting for this firmware, make sure your device has, at least, 1.4GB, just to be on the safe side. The update has a size of 1.3GB on both variants and as a result, you may need to connect to the internet via Wi-Fi or hi-speed data. Once Android 6.0 Marshmallow update is downloaded and installed on your Samsung Galaxy S6 or S6 Edge, you will be sure to see new features and improvements. Some of the expected additions include Now on Tap, improved app permissions system as well as the much-hyped Doze mode. The latter will be a huge welcome for owners of these devices as it helps save battery power – something that Samsung has tried to address by improving the battery capacities of both Galaxy S7 and S7 Edge. While T-Mobile is not clear with its change log, expect to come across new updates such as Samsung Internet 4.0 browser, Cross App functionality, and others. If the update has not reached your Galaxy S6 or S6 Edge just yet, simply head to the Settings>About device>Software update and from here, you can tell whether the update is ready to be downloaded to your phone. While those on Galaxy S6 and S6 Edge are receiving the latest from Android 6.0 Marshmallow, T-Mobile is also doing the same for those using last year’s LG V10. LG V10 was announced towards the end of last year and T-Mobile had revealed that the Marshmallow update will start showing up on this device as from this week. Indeed, the promise has been kept and the good thing about it is that the update can also be downloaded to the phone via Mac or Windows PCs. All you need is to install the LG Bridge app, connect your phone via a USB cable and the update will show up. 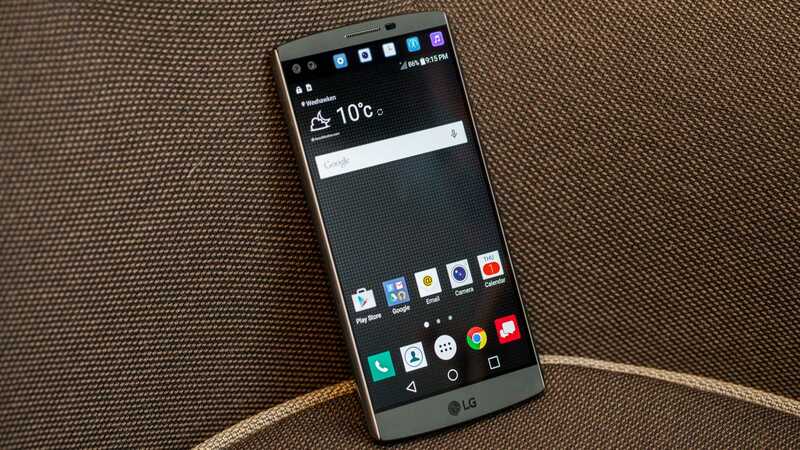 LG V10 Marshmallow update bumps up the software version to H90120E. At the moment, the update is not available to all users of LG V10, which is not unusual. It will definitely take some time before the OTA update hits all devices, however, you can always go for the LG V10 Marshmallow firmware via the LG Bridge desktop app. In addition to the usual improvements it brings to the LG V10, Android 6.0 Marshmallow also comes with Doze, Now on Tap, new apps permissions as well as App Standby, among others.